Maybe you’ve heard of someone you know getting baptized. Maybe you’ve heard it announced in church. Maybe you’ve even witnessed baptisms but still aren’t clear on what it all means. In order to truly understand the significance, it’s important to examine what the Bible says about it. We will be offering a Baptism 101 course at 9AM and 11AM before each baptism session. Please sign up to be baptized by using the form below! Baptism 101 is intended to ensure you understand what it means to be baptized. What led to you making this decision to get baptized? Jesus Himself was baptized. He wasn't a sinner, but He humbled himself in obedience to identify with us and give us an example to follow. The one requirement for baptism is belief in Christ! It's also a public declaration. Baptism declares you are a follower of Jesus Christ! It's a public confession of your faith in, and commitment to, living a life that's honoring to Him. It's the next step after salvation through repentance and faith and is a symbol of your new life as a Christian. It’s a statement to everyone who sees it that you have trusted Christ for your salvation and you're committed to living for Him. 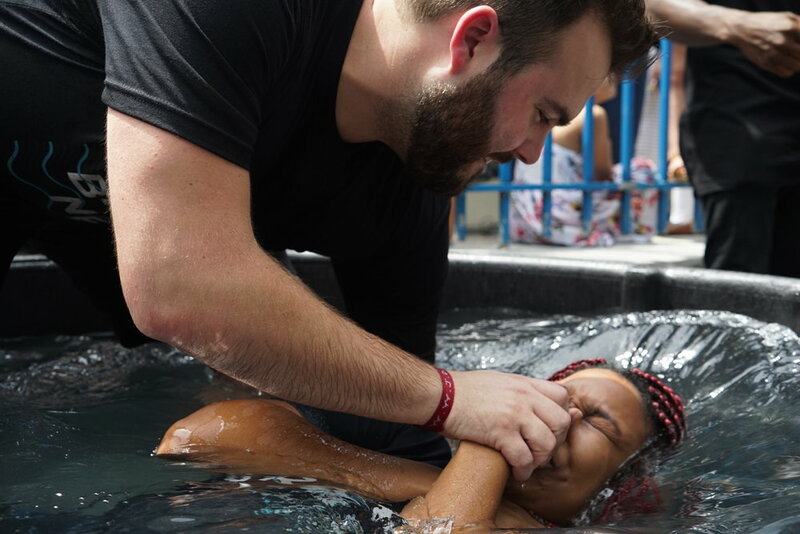 Baptism connects us to the body of Christ. We don't participate in this (or any) part of our spiritual journey alone. That's why we invite everyone we know to help us celebrate! There is an amazing sense of being joined with other believers. the kingdom of God and the name of Jesus Christ, they were baptized, both men and women.